It’s hard to imagine a group of people with more moral authority than the editors of Photoplay. Spend your money and he’ll keep his job! THIS YEAR the government will spend 5 billion less dollars than it did last year, because it doesn’t need so many guns, tanks, planes and other implements of war. This was your money paid to the government in taxes. Now the government’s letting you spend those 5 billions for yourself. The important thing to remember about this is: The production lines that turned out those products of war now have to turn out peace-time goods. If you don’t buy the automobiles, the clothing, the freezers, the washers, vacuum cleaners, toasters, mixers that American factories are now manufacturing, the men on production lines will-be laid off. And then they won’t be able to buy the things you are making. If you continue to spend your money wisely for the things you need, our working men will continue to have money to buy what they need. On the other hand, if you’re one who is waiting for bargain days, remember that jobs depend on your buying what is made now. A bargain is no bargain if you wait until there’s no money with which to buy it. This is what all of it means in terms of people: Joe Brown works on an assembly line making washing machines. Even though Joe is making more than ever before, Mrs. Brown decides she’d better put off buying that new refrigerator they’ve been needing so long. On the other hand, Bill Smith works on an assembly line making refrigerators. When Mrs. Brown decides not to buy a refrigerator, she makes Bill Smith’s job unnecessary, and he gets laid off. Bill comes home without his job and tells his wife: “Better hold off buying that washing machine you wanted till I find some other work.” Bang! Joe Brown finds himself out of a job, too! So if you want to protect your own job, buy now—buy wisely, buy what the other fellow makes, and he will have the money to buy what you make. To have your cake, you must eat it. And, if you eat your cake, there won’t be any breadlines, there’ll be saleslines. Basically taking the Keynesian theory that in a recession the government is the spender of last resort and turning it on its’ head. I guess the post-9/11 era “it’s your patriotic duty to spend” notion wasn’t so unique after all. The difference is that now all the spending is going to China and the Middle Eastern oil fields, so we are out of a job anyway. What were we talking about? I was distracted by the not-so-secret charms of Janet Leigh. This advice must have worked; the economy was pretty good from 1954 through the ’73 Oil Embargo, wasn’t it? We had a recession at the time JFK was elected president. Talk about putting your eyes out….. Going blind wouldn’t be so bad, in the circumstance. Spend your money on local talent and keep it in the neigborhood. Buy local, go to a farmers market and ask for local produce. These things will help. Ever notice how locavorism is most popular in parts of the world where they can actually produce vegetables more than three months out of the year? 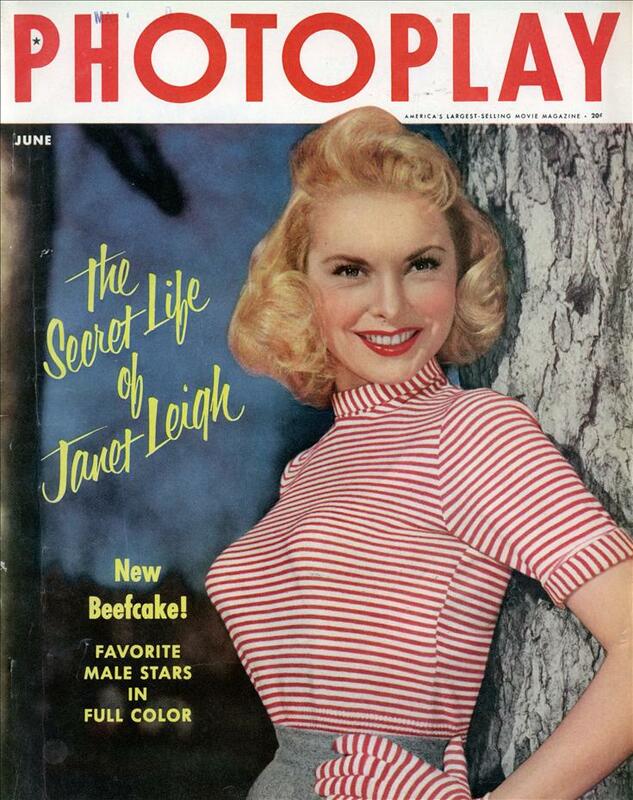 I’ve always wondered what kind of bra Janet Leigh was wearing. Scott B. you are forgeting that from 1965 to 1971 400,000 young men a year were being newly “employed” by the federal government whether they wanted to be or not. Given that they mostly served three year “terms of employment” starting in 1973 the many of them were begining to look for new jobs. After 1973 the US government no longer had a “employment” system. So take it as you will. JMyint – Right you are. As the son of an Air Force officer who had job security until the Reduction-in-Force in the mid-70s, I have firsthand knowledge of the economics of wartime spending. No question the Cold War — and the hot one in Southeast Asia — affected the economy more than “buying local.” My comments above were somewhat jestful. If I had set out to write a satire of Keynesian economics, I couldn’t have done better. But how often should you buy that new refrigerator? Why make Bill Smith rich buying too often and making yourself poor at the same time? There are too many items out in the world that I cannot even purchase one of everything, let alone buying a new one. I understand the concepts that the article is making, but I am looking after my family and spending wisely than making Bill Smith’s boss rich only for him to automate some robot and put Bill Smith out of a job anyway. I am a firm believer in buying something new when the thing you are replacing breaks, not because the new one comes in a new colour. I hate those ads on tv about upgrading your wide screen tv – why for the 2 new features on it compare to mine? Spend thousands of dollars, get that new tv with the 2 new features and throw the old (working) one out. That’s what the shops want, they aint getting it.